It's brownies! It's brittle! It's Brownie Brittle!! This stuff is as we say in the south "so good makes you wanna slap yo mama." So here is the break down it's a VERY thin crunchy brownie in some awesome flavors (mint chocolate chip, salted caramel, toffee crunch and chocolate chip). The mint chocolate chip is out of this world good-my favorite, the bag has been put out of view of the rest on my family and I try to allow myself 1 piece a day. But be prepared you will want to eat the whole bag so have a jug of milk on hand and ENJOY! My only issue was it's hard to measure out a serving size in bits and pieces. 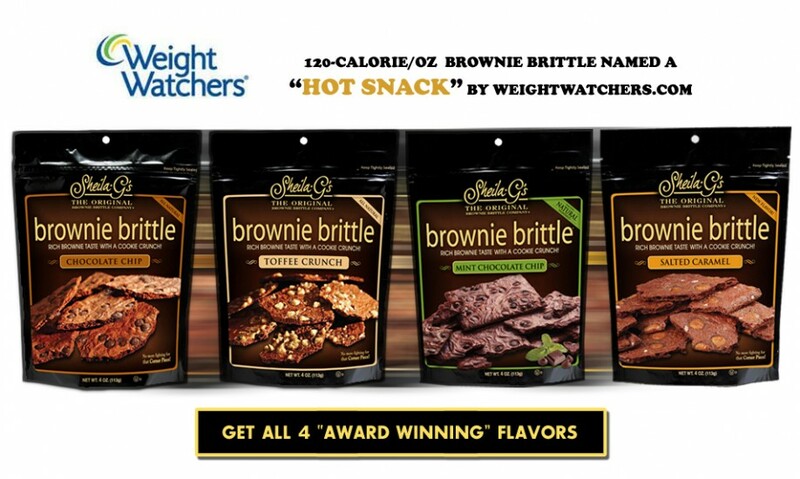 Sheila G’s Brownie Brittle helps cookies for kids cancer and so can you! "How can you get involved? Join me in the fight against childhood cancer by hosting your own bake sale, purchasing cookies from cookiesforkidscancer.org, or making a donation to their cause. In addition, starting in the summer of 2013, you will be able to contribute simply by purchasing one of our specially marked packages that carry the Cookies for Kids’ Cancer logo on the back. Part of the proceeds from the sale of these packages will go directly to fund Cookies for Kids’ Cancer. Because of you $1 more will be donated contributing toward the more than $60,000 Brownie Brittle will donate to Cookies for Kids’ Cancer this year alone." 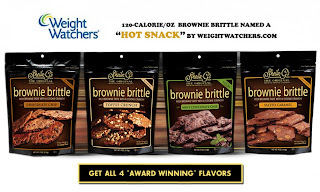 Now the best part- Sheila G’s Brownie Brittle™ and GIVEAWAY! 1 of my lucky fans will be winning 4-pack variety.